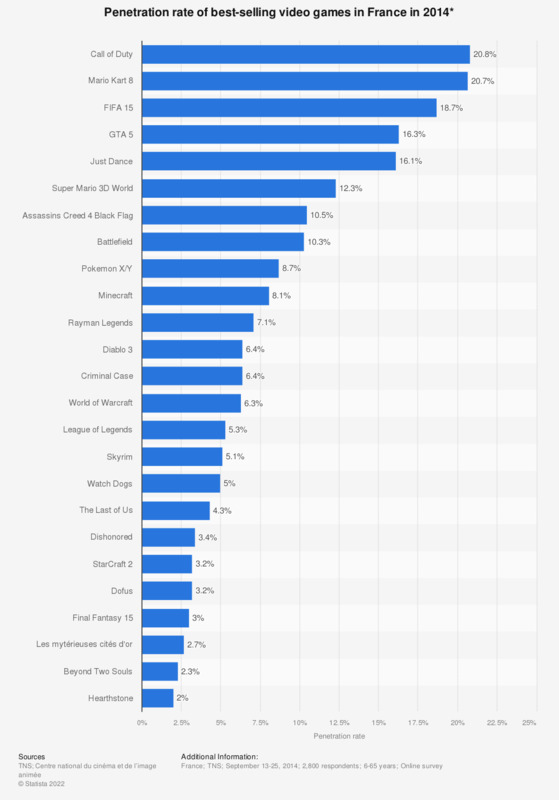 This statistic presents the penetration rate of best-selling video games in France in 2014. In 2015, 18.7 percent of respondents stated that they had played FIFA 2015 in 2014. * A list of 37 French and foreign (offline and online) video games has been sent to surveyed gamers.